Trends in custom decks for Gainesville, VA, homes this year include stylish railings, curved decks, and comprehensive lighting that transforms the ordinary deck into a more vibrant, inviting outdoor space to enjoy at night. In addition to spending time at night, you can also enjoy yourself during the day. Use all the time you used to spend cleaning, sanding, staining, and sealing your old wood deck to relax on your new custom deck in Gainesville, VA, made from ultra-low-maintenance composite or vinyl. 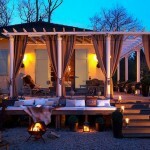 With modern manufacturing capabilities these high-tech building materials offer a lifetime of beautiful outdoor living. While you are making plans for your custom deck in Gainesville, take the surrounding area and landscape features into account. Big tree? Build around it. Moldy brick patio in the back? How about including a weather-resistant water drainage system to channel water away from your deck, and your foundation, for double the outdoor space in one project. Accommodate storage needs, cooking space, porch swings, and consider what a screened porch might offer in the way of extended living space for your Gainesville home. The possibilities you can create with custom decks in Gainesville, VA, are limited only by your budget and your imagination. Have fun with your research. 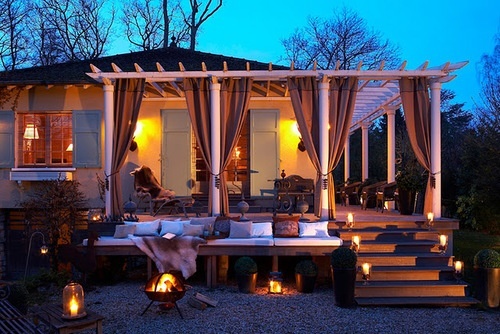 Check out HGTV, This Old House, Houzz, and other rich online resources for photos, features, and fun ideas to make your custom deck a space with your unique style and sophistication. Built-in components offer multiplicity as seating, plant containers, tables, storage, and display space. And, depending on the scale of your plans, including an outdoor kitchen, hot tub, or entertainment area, offers the ultimate in outdoor comfort and luxury. When you’re ready to talk to a professional deck contractor with almost 40 years building custom decks in Gainesville, VA, and surrounding communities, call Hal Co. We can build the custom deck at your Gainesville home you have always imagined. Why Hire a Reputable Deck Builder in Arlington, VA? 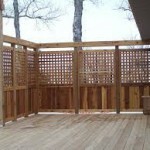 Are you planning to build a deck in Arlington, VA? While some people are cut out for taking on this project themselves, most want to find a reputable, qualified deck builder for Arlington, VA custom decks. In the early years of the suburban deck movement in the 1970’s, people who were interested in making outdoor home improvements were largely on their own. They measured, cut and hammered their way to a simple wooden platform with railings. Fast-forward to 2014 and the process of building a deck in Arlington, VA has become somewhat more complicated. It just makes sense to have an experienced deck builder in Arlington, VA to advise you on your investment and navigate zoning ordinances, historic districts, covenants and restrictions required by home owners’ associations and making the right decisions about the overwhelming variety of materials, features and amenities that will help make your custom deck the right deck for your home and your lifestyle. A home improvement contractor should be licensed and insured. Verify credentials with the Virginia State Corporation Commission and check for any legal issues with the Better Business Bureau. Research basics on how to build a deck in Arlington, VA, including layout, flow, placement of doors and stairways, and the shape, size, and number of deck levels. If your custom deck will include extensive site grading, structural work, or plan to add electrical, plumbing or outdoor kitchen components, make sure your deck builder in Arlington, VA has the prerequisite skills and experience. 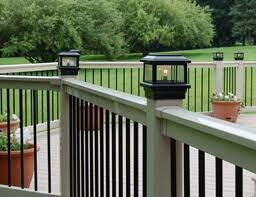 Budget for safety and amenities such as railings, lighting, built in seating and storage. Factor in prevailing winds and shade coverage before finalizing your preliminary deck plan. Ask for a list of references so you can select those that appeal to you. Check each candidate’s website to get a sense of the deck builder’s culture, work portfolio, and policies. Make a list of critical questions to ask your top candidates, including permitting details, estimated project timeline, warranties and financial arrangements. Why hire a reputable deck builder in Arlington, VA? Because when you build a deck it is an extension of your home and an investment in your quality of life, so why not build the deck of your dreams and have it done right? Posted in custom decks, Decks | Comments Off on Why Hire a Reputable Deck Builder in Arlington, VA? When you need a custom deck builder in Northern Virginia look no further than the custom deck professionals at Hal Co. For over thirty years the custom deck builders in Northern Virginia at Hal Co have worked with clients to create custom deck environments to suit their specific needs. Since 1981, we have been providing quality outdoor home improvement products and services at a reasonable cost to our satisfied customers. Gather recommendations for a custom deck builder in Northern Virginia from family, friends and associates. 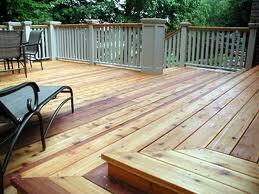 Talk with them to decide which deck materials may be most well-suited for your particular custom deck project needs. 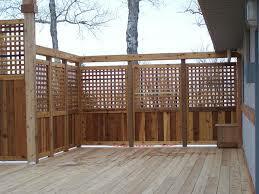 Contact the fence and custom deck experts at Hal Co Fence and Deck in Northern VA about your custom deck project. Hal Co works with a full range of traditional and modern materials, including composite, vinyl, and traditional wood deck materials to construct or repair your deck, fences and porches in Northern Virginia. 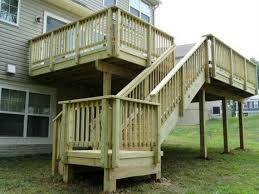 Hal Co is the logical choice when selecting a custom deck builder in Northern Virginia. If you need a qualified custom deck builder in Northern Virginia, contact the creative outdoor construction professionals at Hal Co Fence & Deck. Since 1981, our master craftsmen have created uniquely satisfying outdoor spaces for homeowners in the NOVA / Washington, DC metro area. Committed to providing quality craftsmanship and attention to detail on each unique custom deck project you enjoy, the custom deck professionals at Hal Co cover every design angle when planning your unique custom deck. 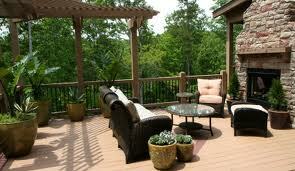 Contact Hal Co deck builders in Arlington, VA for an attractive, functional outdoor living area. Your deck will be one of the finest features of your Arlington home, enhancing its appearance, increasing livability, and bringing great outdoor enjoyment to anyone using your new deck. Builders in Arlington, VA may or may not specialize in deck construction, but the deck experts at Hal Co have the skills, talents and knowledge you need to create a custom-built deck or unique outdoor addition at your Northern Virginia home. If you need professional deck builders in Arlington, VA for your custom-deck project, look no further than the deck experts at Hal Co Fence & Deck. 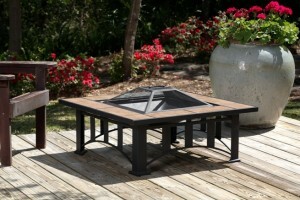 Serving satisfied customers in Northern Virginia since 1981, we have been providing quality outdoor home improvement products and services at a reasonable cost to our satisfied customers for over a quarter of a century. 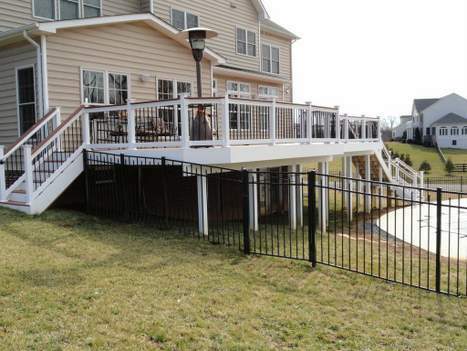 HAL CO has installed quality fences, decks, and screen porches that add value and beauty to thousands of commercial and residential properties in Northern Virginia. Our services include design and installation of all types of fences, decks and custom screen porches along with the specialty features that often accompany outdoor additions. If you need experienced, licensed deck builders in Arlington, VA, contact the professionals at Hal Co. Delivering everything your landscape needs since 1981, Hal Co has the talent, resources and experience your home needs. If you are in the market for a custom-designed and built outdoor room or a unique deck in Arlington, VA, contact the creative professionals at Hal Co Fence & Deck. Since 1981,we have created uniquely satisfying outdoor spaces for homeowners in Arlington, VA and throughout the Washington, DC metro area.